A warm season grass, Bermuda grass is one of the more resilient and drought-resistant lawns of the southern states. It is often grown in sports arenas and golf courses due to its resistance to foot traffic and disease. 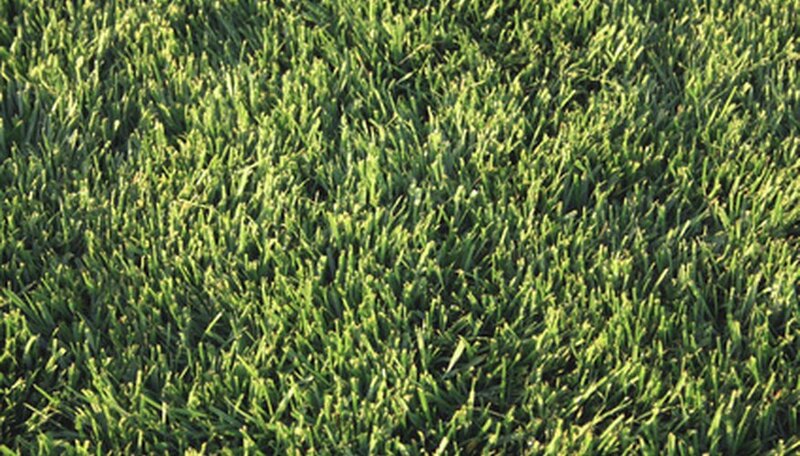 Bermuda grass lawns, like any other lawn, are prone to weeds of varying types. Grassy weeds and broadleaf weeds, though common is Bermuda grass, are easily preventable and controlled. Often a miss-identified weed grass, crabgrass is a patchy grass-like weed that grows best during warm summer months. As a seedling, crabgrass resembles a corn stalk. Bcause it is adaptable to many different growing conditions, it takes on different shapes as it grows. This is partly why it is so often wrongly identified with other grassy weeds. Crabgrass is best controlled with pre-emergent herbicides in early spring, or with an monosodium methanearsonate (MSMA) type herbicide, while plants are young. Dallisgrass grows in clumps. While it looks much like Bermuda grass, its leaves have a coarser texture. Its best identified by the unsightly seeds stalks it produces, that grow several inches above the surrounding Bermuda lawn. It is best controlled with two applications of MSMA in early spring, and again in early summer. Among the most recognizable weed, dandelions are also the most resistant to some types of weed control. Their taproot is capable of growing as much as 10 feet into the soil. Even small portions of the root left over after pulling up a dandelion, are capable of producing a new plant. While dandelions have been used for medicinal purposes for hundreds of years, it’s still a weed when found among Bermuda grass. Dandelion control is accomplished with an application of 2,4-D, triclopyr, MCPA or mecoprop, according to the University of California’s Pest Management Program. Just as recognizable as the dandelion, clover is easily identified by its “shamrock” leaves. It is a warm season broadleaf weed, often found in turf grasses. While it has its place as a valuable forage plant, it simply has no place in the lawn. To control clover, dicamba or MCPP are selective herbicides that work well. Once clover dies, plant new grass in its place to prevent more clover from filling in. Henbit is a cool season weed often found in warm season turf grass lawns, such as Bermuda. It's identifiable feature is its purple flowers that begin to make their appearance in late January to mid-February. These weeds are easily pulled up by the roots in the ground is moist. This is also the most effective method of getting rid of the pest. Herbicide control is second in effectiveness, 2,4-D is useful when applied just before, or right after, the plant begins to bloom.